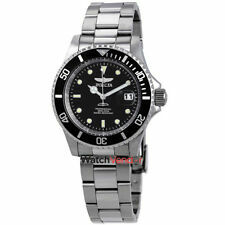 Invicta Pro Diver Stainless Steel 40 mm Men's Watch in all Colors! EMPORIO ARMANI AR5860. 1x Emporio Armani AR5860 Watch ( New in Box). Model : AR5860. Case Material: Stainless steel. Band Material: Stainless Steel. Dial Window: Material Type Mineral. Features : 12-hour Dial, 24-hour Dial, Chronograph. Model Number SARB017. We have sold more than 100pcs of SARB017. Seiko said the manual is written in Japanese and English. Weight: 79g. One year warranty is valid in Japan. We have been engaging in international trading for about 20 years. Mako Shark Series, Spherical glass looks like the Mako Shark's eyes. 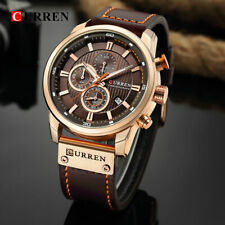 - 1 x Genuine Shark Sport Watch. Specially designed with "Stainless steel" Big Case and Band. Case Material: Stainless Steel. Band Material: Stainless Steel. ① 5000+Sold!!! ② Fast Ship! ③ One Year Warranty! ALBA Military Solar Watch AEFD557 & Box. ・Model number : AEFD557. ・Battery : Solar. Seiko is developing a full-fledged solar watch. Simple design of military style. from Japan. ・Water pressure resistance : 10 Bar. Trending at C $11.50eBay determines this price through a machine-learned model of the product's sale prices within the last 90 days. Stainless steel case with a green canvas strap. Fixed stainless steel bezel. Black dial with luminous hands and Arabic numeral hour markers. Minute markers around the outer rim. 1 Man Wristwatch. 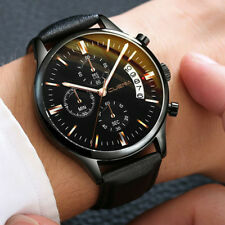 Luxury man watch, watch run great and the battery included with great price, Unique style with 3 small dials for decoration. Band is adjustable. material: Stainless steel Case. and best wishes! Watch style:Fashion. watch lenght:22cm. Watch weight:48g. Band materal:Leather. Function:with Luminous. Dail color:Black white / blue / rgreen. 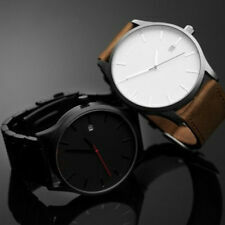 Keep track of your schedule with one of these men's wristwatches. These watches are often wider with larger faces for an eye-catching appearance. Timeless and versatile, black band watches are effortlessly iconic signature timepieces. Impressive in their simplicity, they have classic shades, which is perfect for a minimalist accessory. Silver band watches are chic timepieces, which you'll love wearing every day. With popular designs, they are great if you're looking for a fashionable style. Featuring a traditional band, genuine leather band wristwatches are must-have timepieces for any jewellery collection. The genuine leather bands are soft, ensuring a comfortable feel against your skin. Solid gold bands are resistant to corrosion, providing added durability. Entirely made of gold, the bands are highly precious and beautiful. Mechanical movement watches showcase the perfect balance of traditional design and ease of use. They are low-maintenance for added convenience. Quartz movement wristwatches will be wonderful additions to any jewellery collection. 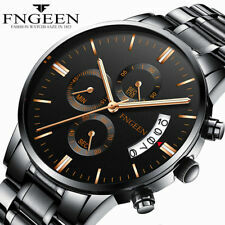 The movements are known for their accuracy, making these watches exceptionally reliable. 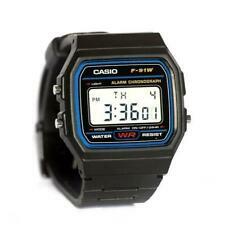 What are some top selling men's wristwatches to choose from on ebay?